David Morrell is the award-winning author of First Blood, the novel in which Rambo was created. He was born in 1943 in Kitchener. In 1960, at the age of seventeen, he became a fan of the classic television series, Route 66, about two young men in a Corvette convertible traveling the United States in search of America and themselves. The scripts by Stirling Silliphant so impressed Morrell that he decided to become a writer. 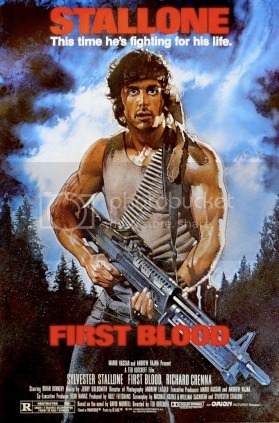 First Blood was a groundbreaking novel about a returned Vietnam veteran suffering from post-trauma stress disorder who comes into conflict with a small-town police chief and fights his own version of the Vietnam War. That “father” of modern action novels was published in 1972 while Morrell was a professor in the English department at the University of Iowa. He taught there from 1970 to 1986, simultaneously writing other novels, many of them international bestsellers. Morrell is a three-time recipient of the distinguished Bram Stoker Award. Comic-Con International honored him with its Inkpot Award for his lifetime contributions to popular culture. The International Thriller Writers organization gave him its prestigious ThrillerMaster Award. With eighteen million copies of his work in print, his work has been translated into twenty-six languages. Dr. Morrell (BA ’66) is a St. Jerome’s University English graduate. In celebration of the 50th Anniversary of the University of Waterloo’s English Department, St. Jerome’s is pleased to present An Evening with David Morrell. Dr. Morrell will be presented with the St. Jerome’ s University Distinguished Alumni Award during this celebration. Cost: $10 per person and includes hors d’oeuvres and one drink ticket (cash bar will also be available). Please register for this event.